GitHub - zwild/eshell-prompt-extras: Display extra information and color for your eshell prompt. Display extra information and color for your eshell prompt. 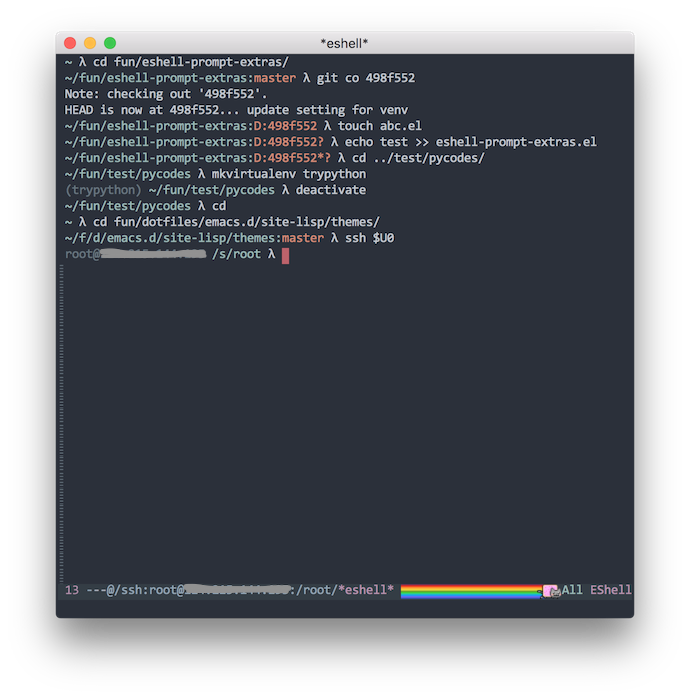 Want to be notified of new releases in zwild/eshell-prompt-extras? It is recommended installed by the ELPA package system. If you want to display python virtual environment information.